We all know that term ‘beauty sleep’ which always means the amount of hours we get in shut-eye. Whether it’s enough or not enough, the amount we do get determines partly how your skin looks and feels. 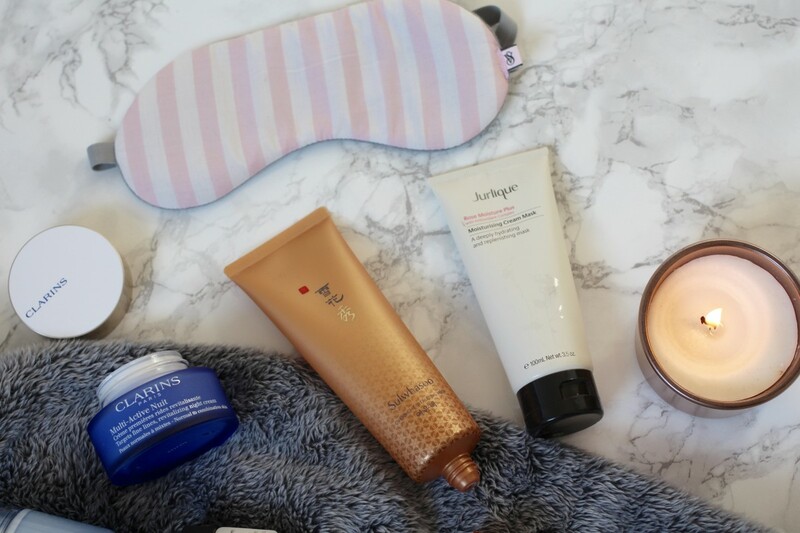 As well as beauty sleep, which is a legit thing, we all definitely need it, within the beauty product world, there are two kinds of product categories that is often confusing and something I always get asked about by friends and family, and that is, what is the difference between a night mask and a night cream? There is definitely a difference between the two, so this post is just my two pence worth on the subject, hope you find it useful. Technically called the vitamins and nourishment for your skin while you sleep, night creams are hydrating, comforting and soothing on the skin. They’re much richer and thicker than day creams and this is all down to the extra nourishing ingredients inside. Night creams get to work as soon as you apply it and work overtime overnight while you sleep ensuring that you wake up with hydrated and plump skin. overnight masks stemmed from the Far East, more precisely, from Korea. They generally have all the benefits of night creams, but also the ability to deeply hydrate, repair and brighten overall complexion. They seal and retain water, help products penetrate in to the skin and generally never leave a mess on your pillow thanks to the texture as they’re generally thin and of a gel-like consistency which sits on the skin and doesn’t budge during sleep. The difference between the two comes down to the formula and the properties. 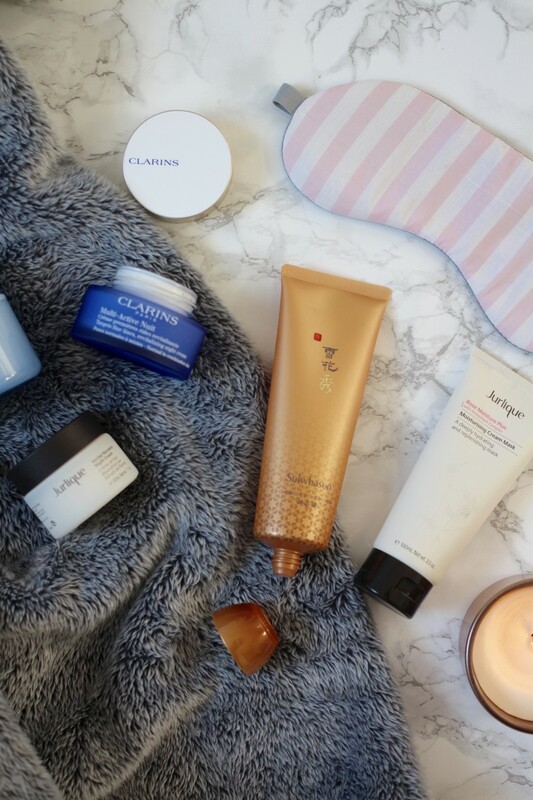 Masks are generally more intensively moisturising and pushes hydration to the next level, whilst creams are more nourishing and soothing. 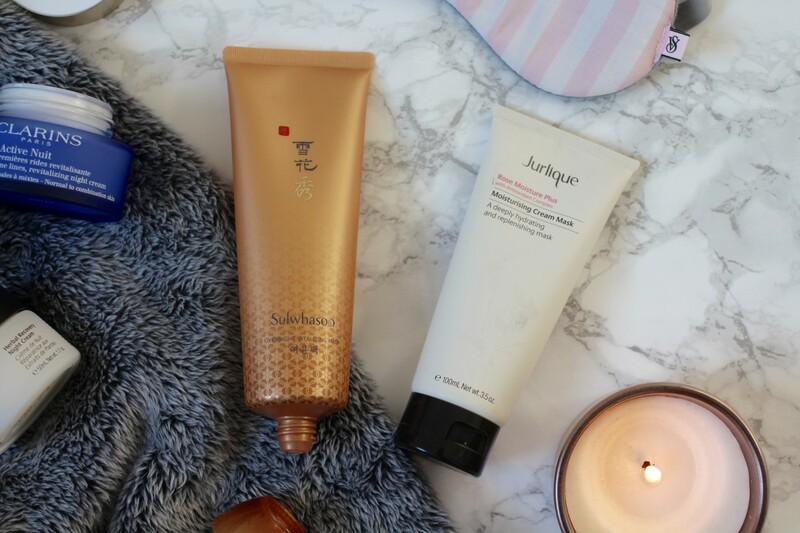 Both products are good for your skin, night creams are will always provide the moisture to ensure skin is in tip top condition, but add a night mask once or twice a week for extra brightening and repairing benefits. 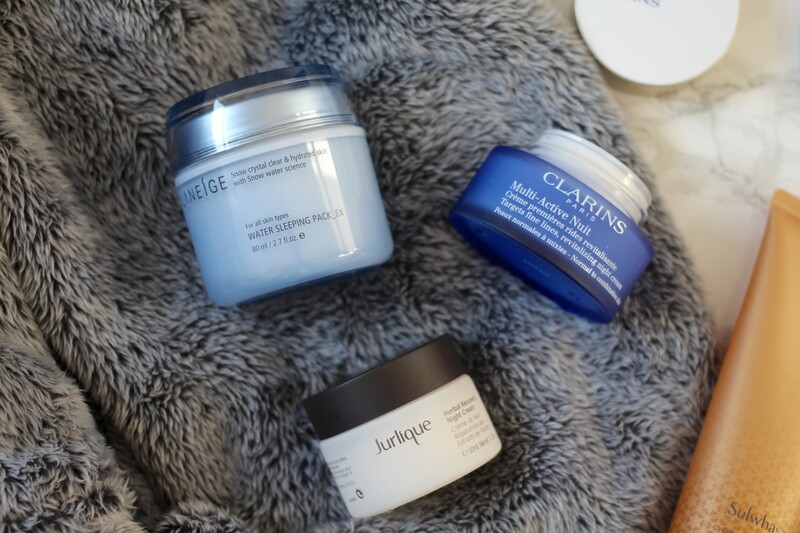 My personal favourites include Laneige Water Sleeping Mask, this one is perfect for locking in moisture overnight and leaving me with radiant skin in the mornings. Sulwhasoo Overnight Vitalizing Mask is also a high contender, this one is more creamier and more nourishing on the skin. Jurlique Rose Moisture Mask is great when skin is more dehydrated and can be used as a normal or overnight mask. 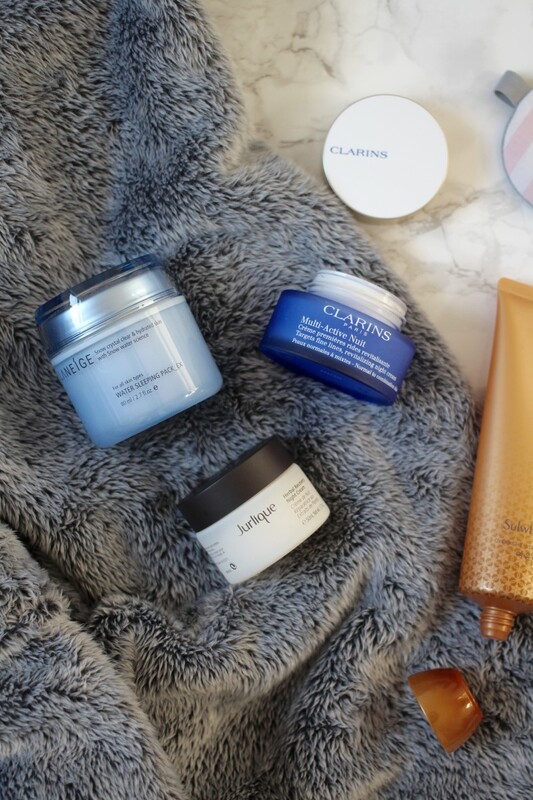 Night cream wise, Clarins has always come top for me, their Multi-Active Nuit intensely moisturises my skin and leaves it plump and soft in the mornings. I also love Jurlique's Herbal Recovery Night Cream, this one is perfect for oily/combination skins and mature skins as it's light, yet holds on to the moisture within your skin frims and promotes regeneration overnight. 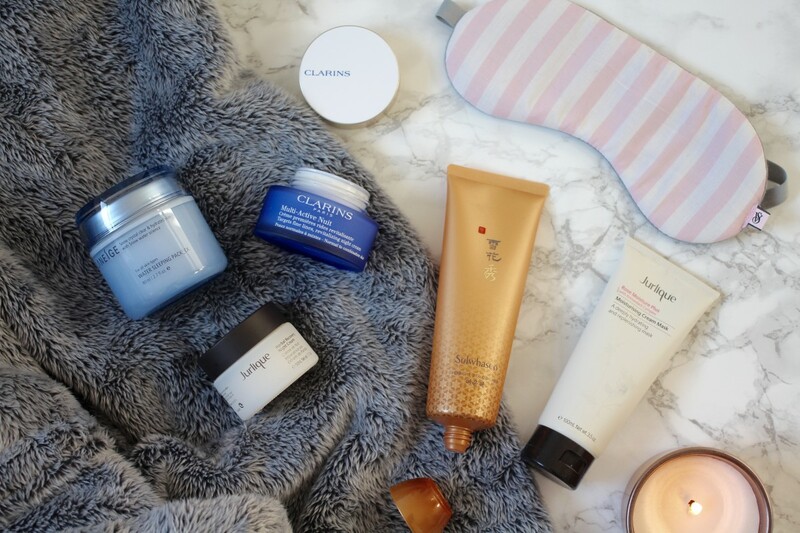 Do you use night creams or night masks or both? If yes, which ones are your favourites? I swear by the Laneige sleeping mask but it is quite difficult to get hold of here in the UK. I wasn’t aware that so many brands now do them. The one by Clarins look perfect for my skintype. I really need to get me a night time face care routine. Good post!